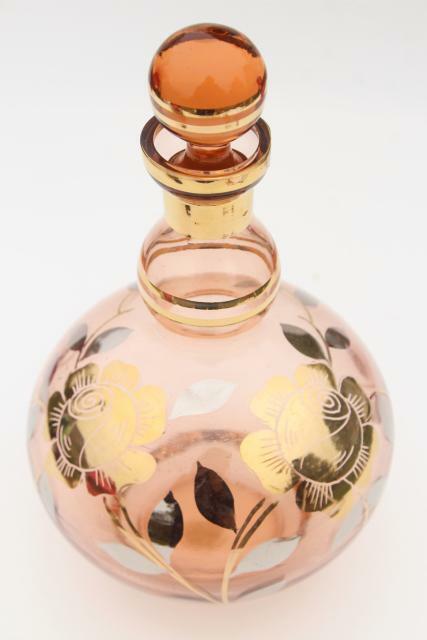 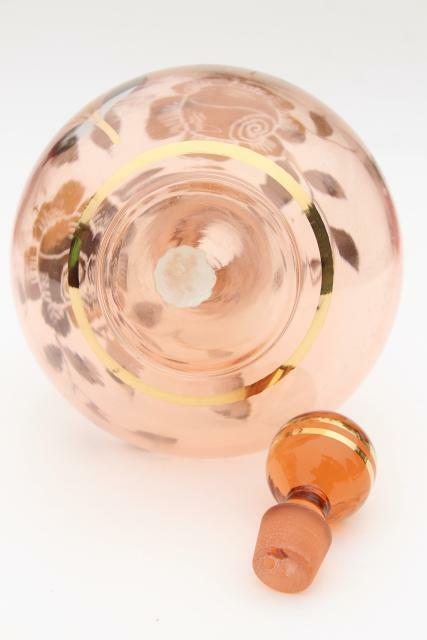 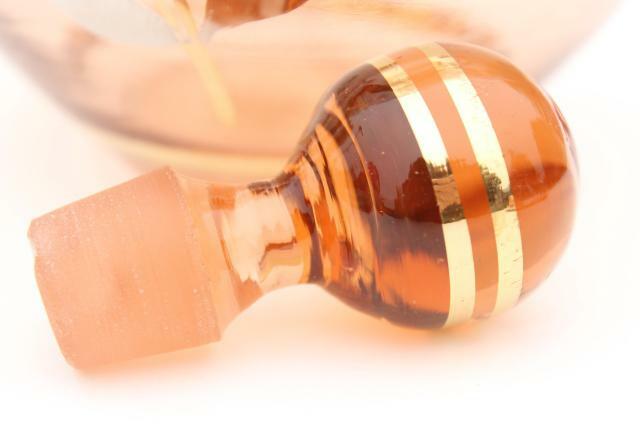 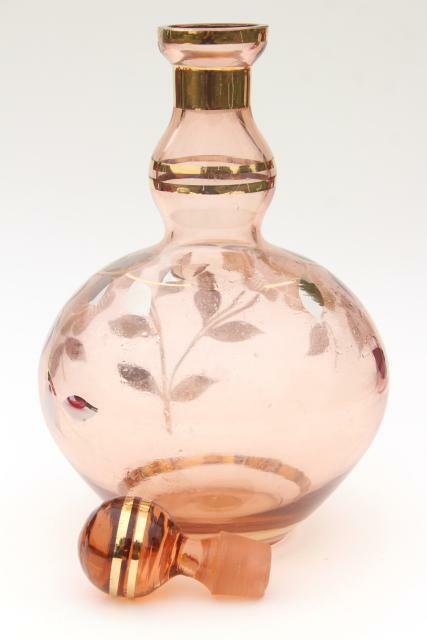 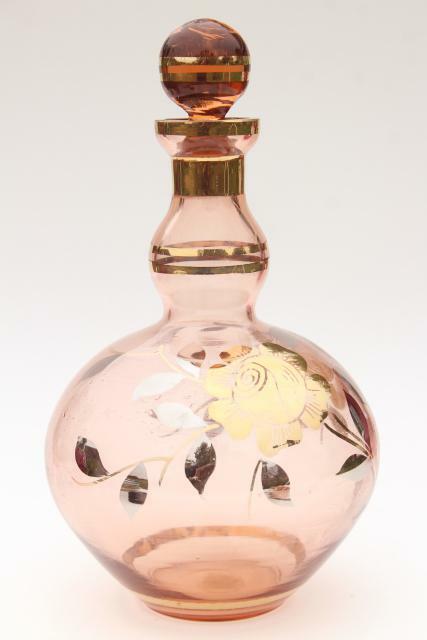 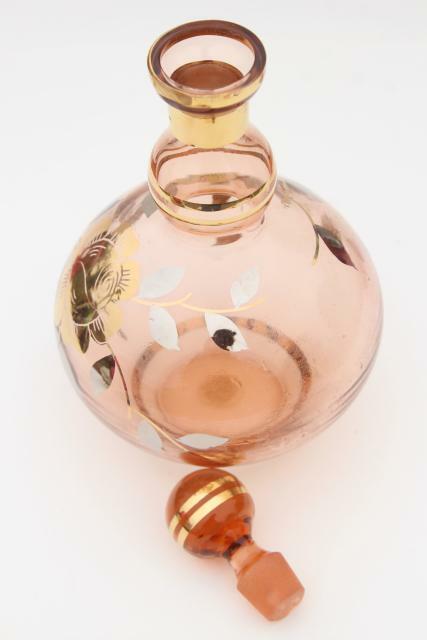 Unmarked mid-century vintage hand blown glass decanter in a beautiful blush pink color accented with hand painted gold. 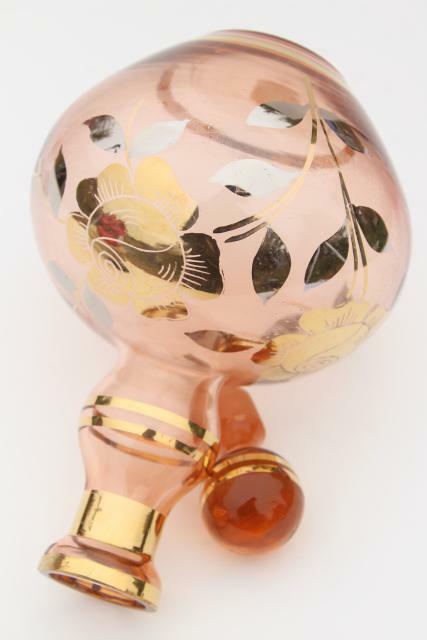 Maybe Japan? 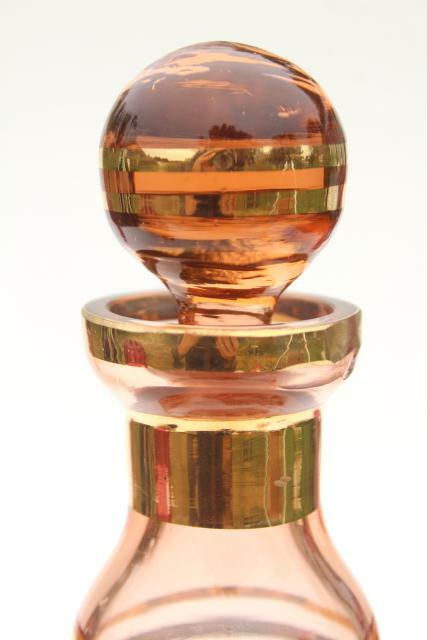 Italian or Czech? 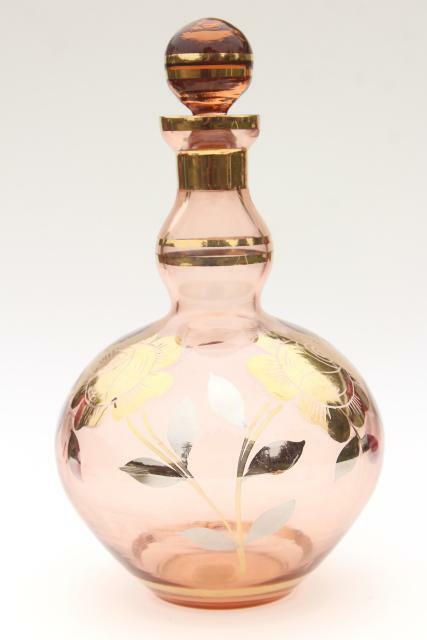 Very pretty in any case! 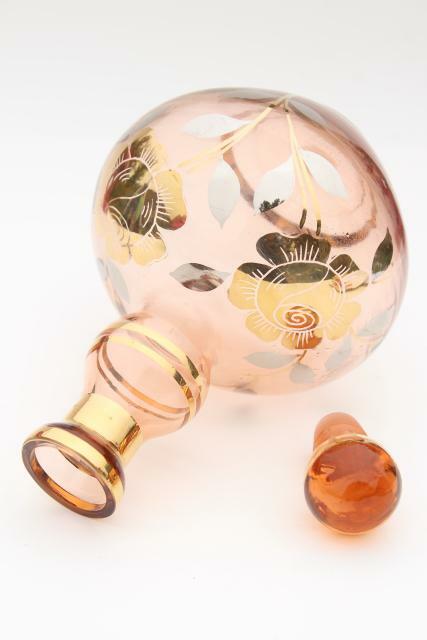 This stands about 9 1/2" tall to the top of the glass stopper, and is in very good condition without damage or wear.